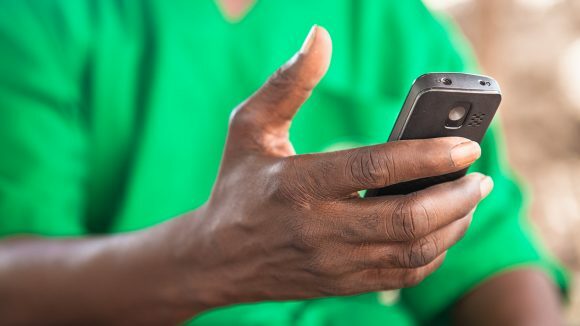 mHealth, which stands for ‘mobile health’, involves using mobile phones to collect data and provide training during health projects. 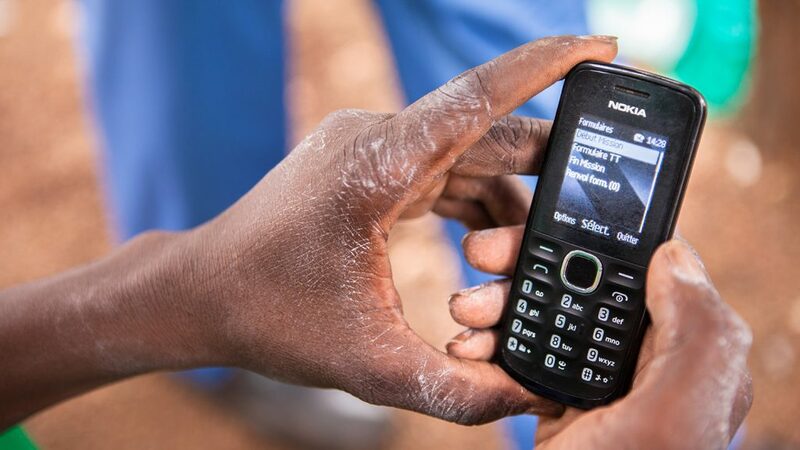 Sightsavers is working to pioneer new ways to use mobile phone technology as part of our sight-saving programmes. Mobile phones have the power to improve our work in two ways. One is through data collection: increasing the quality, speed and access to important field data. The second is through behaviour change: with mobile phones more present than ever, they have become a new channel to communicate and interact. Many of our neglected tropical disease programmes use mass drug administration (MDA), in which entire populations are treated with medication. These MDAs take place within local communities, making it historically difficult to monitor treatment and distribution. Our new MDA monitoring process and platform, which uses mobile phones to collect data, is now being used in Cameroon, Nigeria and Zambia. This offers much greater visibility: if an area is behind target, for example, we can investigate any issues and attempt to solve them as soon as possible. This has significantly improved the quality of our data, and means far fewer drugs are wasted. 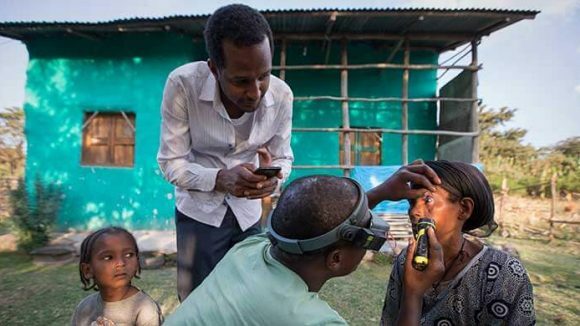 Created with partners including the World Health Organization, Tropical Data is a mobile-based data-collection initiative that uses the same approach and technology as the Global Trachoma Mapping Project. 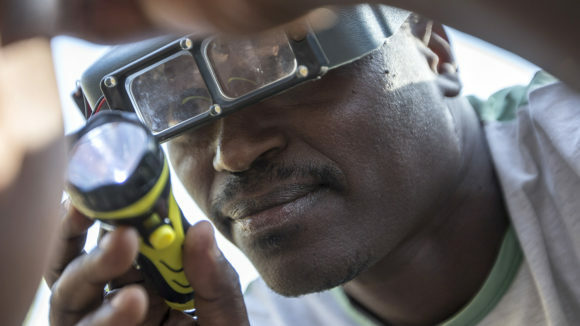 Tropical Data helps countries carry out surveys as they work towards eliminating trachoma. In total, 300 surveys in 23 countries have already taken place, and soon the platform will be set up for other neglected tropical diseases. 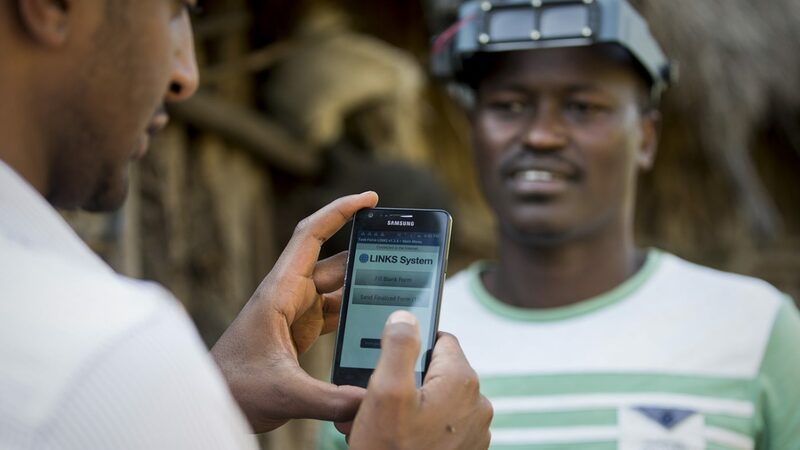 In Kenya, we are teaming up with Amref Africa using its Leap platform, a mobile learning package that helps community health volunteers learn at home. It works on basic mobile phones and enables the volunteers to complete quizzes, have group chats via SMS and listen to audio recordings of training material. 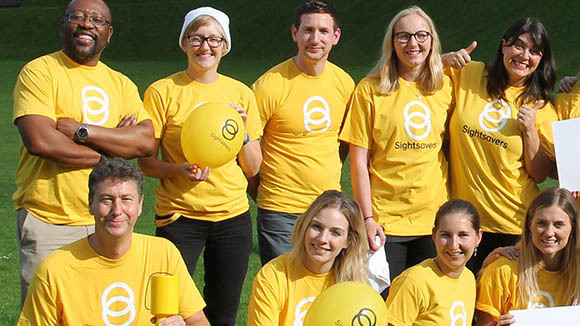 There are now 300 volunteers using our trachoma module. In Zambia Sightsavers is working with Akros, an organisation that already uses mobile phones to collect data about water and sanitation. We are now gathering data linked to trachoma elimination, and Akros is feeding information back to the communities: chiefs have tablets showing their area’s water cleanliness, and community volunteers are sent SMS updates about MDAs and other activities. Mobile surgeon Boubacar Fomba checks his mobile phone. 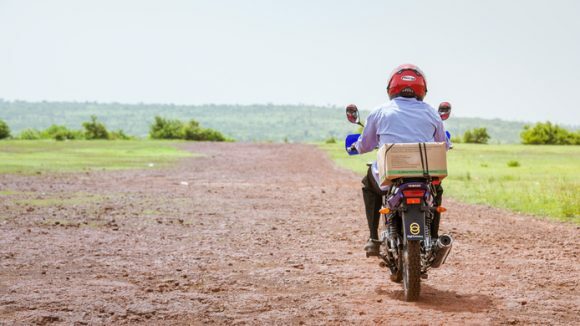 Sightsavers’ mobile surgeon Boubacar Fomba travels by motorbike to the most remote regions in Mali to perform trichiasis surgery in the field and collect data about trachoma via mobile phone. Last March, five regions in Mali were given ground-breaking news that would change the future of their communities.